The Romeros family--Celedonio, Celin, Pepe, and Angel--helped propel the status of the classical guitar repertoire during the '60s. The father and three sons had impeccable technique and an obvious love for the works of their Spanish homeland. 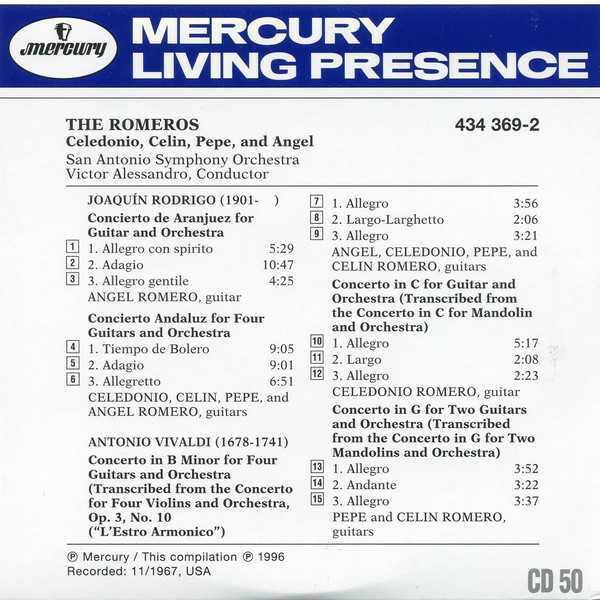 On this disc, the Romeros clan perform memorable versions of two Rodrigo guitar concertos and three concertos from Vivaldi transcribed for guitar. These are gorgeous works, and the quartet--backed by the feathery touch of the San Antonio Symphony Orchestra, conducted by Victor Alessandro--is in top form. 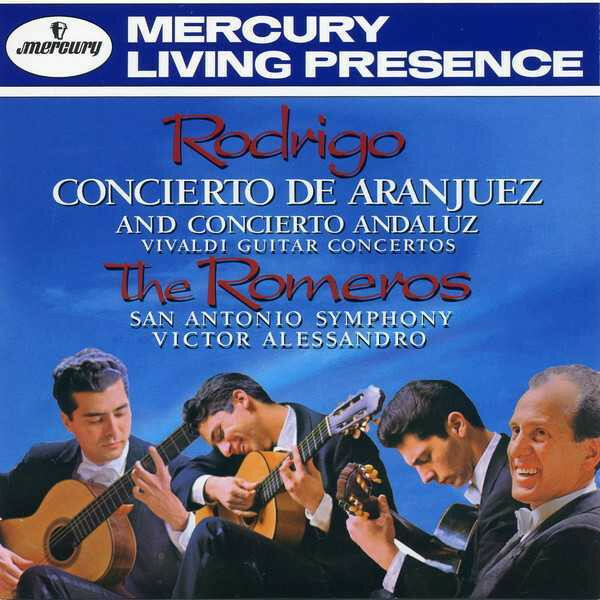 Rodrigo's Concierto Andaluz for Four Guitars and Orchestra was originally commissioned from the composer Celedonio Romero, and the ensemble provide a sensitive and lively reading of the folksy concerto. Vivaldi's works are an added bonus, especially the perennial Concerto in C for Mandolin and Orchestra, here adapted for the guitar artistry of Celedonio Romero.